A few weeks ago I was making supper while Simeon and Ariella were playing in their room. As I walked in to see how they were doing Simeon looked up from the toys he was playing with and said, ‘Ariella coloured me’. The funny thing is Simeon didn’t fight back, yell, hit or even tell Ariella no. He just quietly went about playing with his toys while Ariella coloured him. At the age of four Simeon is so often my example of patience and gentleness. I so hope he keeps these qualities as he grows. But I also kind of hope he will learn to stick up for himself a little bit too. 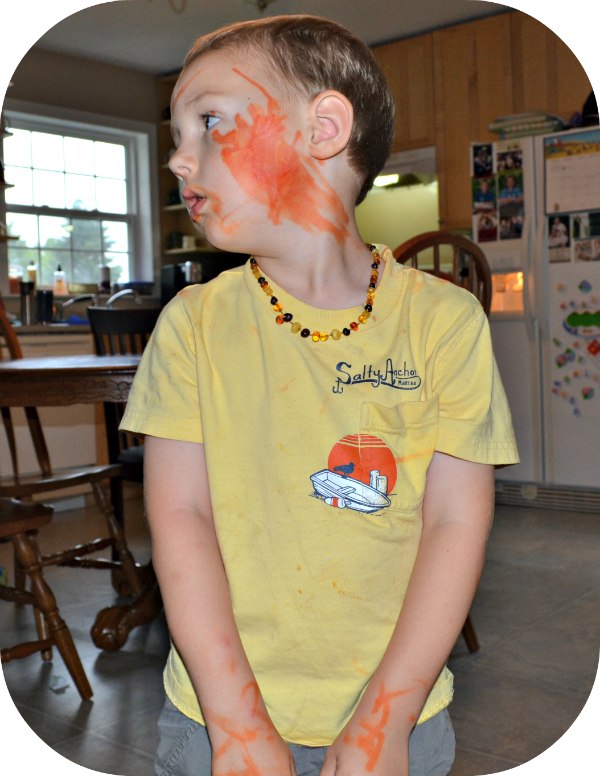 ‘Ariella coloured me.’ She sure did buddy, she sure did. I love this! It looks like a scene from my house. Not to far off that is for sure.